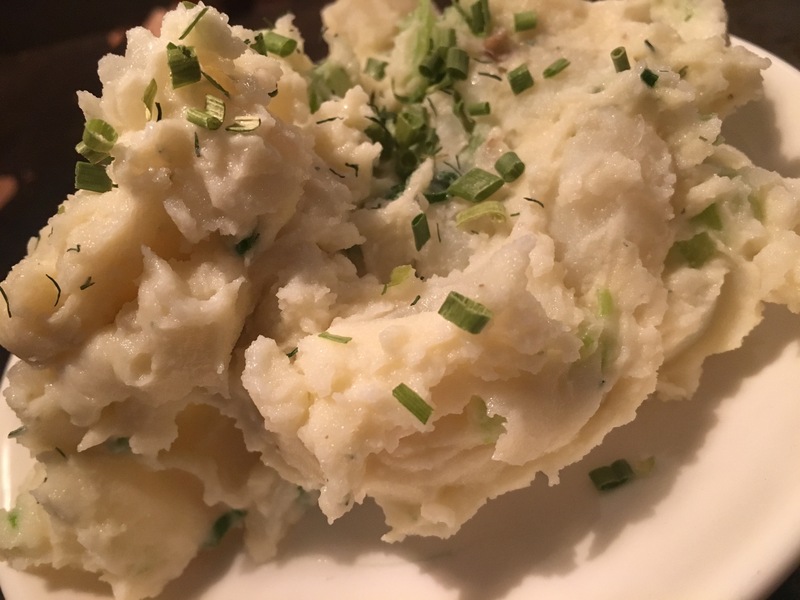 As unexciting as potato may sound, it is one of my favorite side dishes ever! Growing up my mother never made it so I had to get lucky and score a plate at a picnic or barbecue. Now I make it myself whenever I’m craving. There’s so many ways to spruce it up or dress it down. Once you have the basic recipe down packed, you can add whatever else you enjoy or take out what you can live without. 3 pounds of potatoes. Red skins with the skin on or golden potatoes without the skin. I choose the golden ones every time. In a large mixing bowl, mix together mayo, sour cream, mustard, dill, chives, salt pepper and paprika. Pour potatoes into bowl and mix everything together. Add in chopped celery at the end. I like a bite to my potato salad so I’m never stingy with the celery. Let cool for about 20-25 minutes in the fridge and enjoy!